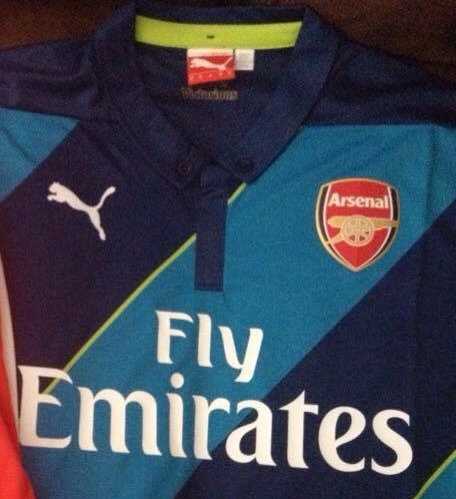 The home colors for Arsenal Football Club (AFC) are red and white, while the away colors are blue and yellow. And then there are the “third” jerseys, which are a combination of blue and light blue diagonal stripes, with thin green accent stripes. Some fans like them, some don’t. I belong to the former. Anyway, I was wearing my third jersey as I strolled through the Kalamazoo Art Fair, and one of the first art vendors I encountered complimented me. Turns out he is a fan of european soccer and while he enjoys Arsenal, he prefers to follow Barcelona in the Champions League. He commented on how much he was looking forward to the big match (which Barcelona ended up winning) as well as the upcoming women’s World Cup tournament. It was at this point that the conversation took a turn. Lastly, and by far the best interaction brought on by my jersey was when I stepped into a quaint little shop on the mall – a shop which didn’t exist when last I lived here, so I was eager to check it out. The young woman behind the counter was perhaps 22, 24 at the very most. She spotted the team sponsor’s “Fly Emirates” logo on the front of my jersey, and grinned. “I like your jersey,” she said, and began to tell me of her time spent in Dubai, Abu Dabi, and Istanbul. While I enjoyed listening her talk of her experiences with such passion, what I enjoyed most was her answer when I asked if she planned to go back to visit any time soon. Turns out she already has a plan in the works to travel to Japan and Thailand very soon, and has some other places on her list as well. I was thoroughly impressed by this young lady, and wished her the best in her adventures. I also wish more of us could be like her, and am glad that our paths crossed. We shall see what kind of conversations my jersey stir up the next time I wear it.